A Filipino official has called for Muslim-only ID cards to rolled out as the state continues its battle against Islamic State-linked militants in the south of the island nation. The call to introduce the cards was made by Central Luzon Police Superintendent Aaron Aquino during a meeting of Central Luzon police, military, political leaders and about 200 Muslim religious and community leaders on Tuesday, reports Manila-based local news network Rappler. “This is just for the identification of every individual, of every Muslim. If we have the ID system, we will know who the residents are and who the visitors are in a place,” Aquino said, as cited by SunStar. The system has already been rolled out by the local government in Paniqui in Tarlac province, where Aquino says it has been a success. “This system is a good practice [taken] from Paniqui, Tarlac, and we want this to be replicated in all Muslim communities in the whole region for easy and efficient identification of our Muslim brothers and sisters,” he said. “We are doing a multi-sectoral approach in addressing this issue and I am glad that our Muslim brothers have signified their intention to cooperate with us,” Aquino added. Muslim leaders did not dismiss the idea outright, according to local media, although they would like to know more about how it works in Paniqui. The measure has come in for criticism though, with Human Rights Watch describing it as being discriminatory towards the 10.7 million Muslims in the country. 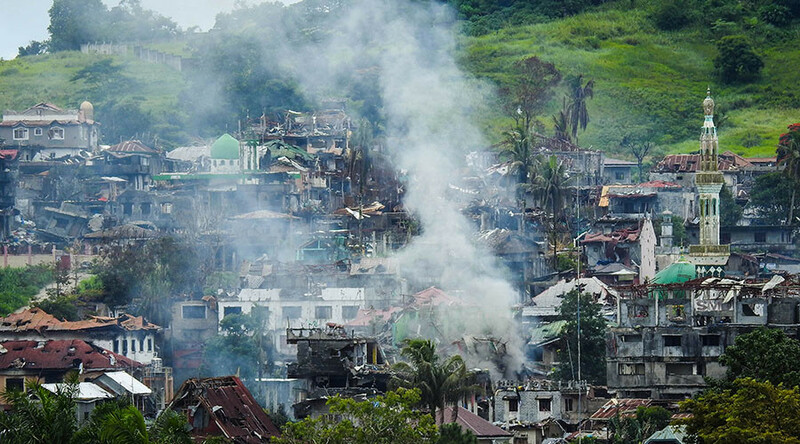 To date, at least 400 people are thought to have been killed by Islamist Maute fighters in Marawi, while hundreds of thousands have been displaced due to the conflict, currently in its seventh week.